A transparent state government is Wee's objective. 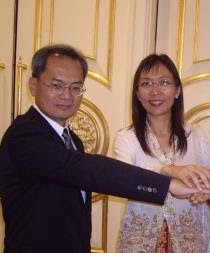 Wangsa Maju MP YB Wee Choo Keong had claimed to have received many complaints from Pakatan Rakyat (PR) members and business communities in Selangor that the office of a certain exco member "had been and is continuing to be used as a meeting place for people connected with the underground business activities". YB Wee also supported YB Azmin's call for a reshuffle of Selangor state exco members, whereby the former was in the impression that the alleged underworld activities conducted by the exco member would eventually affect the image of the PR government. However YB Wee never mentioned any names. United we stand and crushing YB Wee we shall!!! 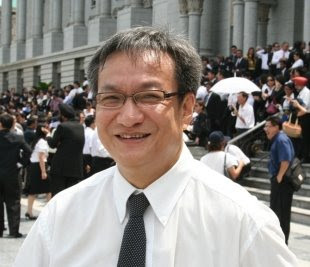 Suddenly Ronnie Lui and and Teresa Kok responded to Wee's claim in unfriendly manner. 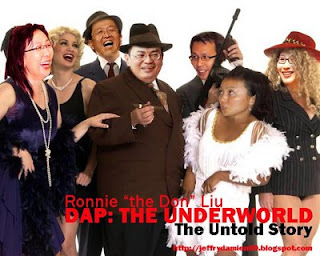 Ronnie Liu said that Wee had made the statement because the latter might hold a grudge against the party DAP. It's true indeed Wee left DAP back in 1998. 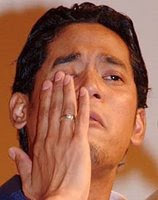 Teresa on the other hand called for the sacking of YB Azmin as the president of the Backbencher’s Club. YB Wee described in detail how these two clowns Ronnie and Teresa responded to his claim at his blog entitled Siapa Makan Cili Dia Terasa Pedas. Due to the fact that the case is still under investigation, The Darker Side will not come out with any speculations. At the same time I like offer condolence to the family of the late Teoh Beng Hock, may he rest in peace. I wonder whether this guy knows he is really a "tin kosong", just talks nonsense. This Mahfuz fella as usual takes every given opportunity to make his voice be heard. 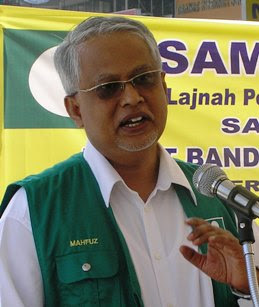 In regard to the death of Teoh, Mahfuz called for Independent Commision to conduct the investigation, as reported by Harakah. Duhhh!!! Of all the happenings, what is written between the lines? I know what you're gonna say, it must be an artful work of BN. 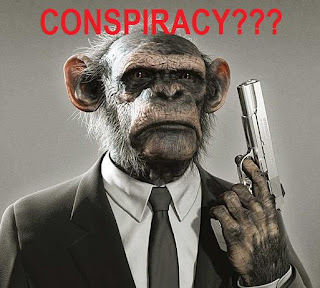 Come on fellas, must everything be blamed on government. One particular thing we have to consider, the early whistle blower did not belong to UMNO. If it is still hard to believe, do read this analysis.